Product Feeds are used to send product content data to retailers/channels. This includes product descriptions, attributes (size, color, specifications, etc. ), image URLs and any data required by the retailer/channel to setup products to be listed on their platform. These channels can include marketplaces, eCommerce sites, product information management (PIM) or digital asset management (DAM) systems. To learn more about setting up your own product content feed see this article. First start by selecting your Partner (retailer/channel or supplier) at the top. The Partner dropdown will be your list of retailers/channels you are connected with. Each will have different content requirements. The Partner dropdown will include all suppliers that will be transmitting content to you, following your standard product feed specification. Clicking on the Feed Specification will show all the required fields and descriptions for the product content that needs to be uploaded. Will include a friendly name used to describe the field. The exact column name that you will need to add in the CSV upload. Boolean field indicating if the field is required or optional. Full description on how the field is to be used, if there are conditional requirements, and the required options. If you click Download Template you can select a template that pertains to your specific product(s) category. If you select All Categories, all fields in the Feed Specification will be provided. Typically there will be different requirements for each category, therefore you can pick the template that best fits the products you are uploading. Once you upload your products you will see your results under Feeds. For every upload a unique Feed ID will automatically generate for each file. The file will process and show the number of Items and the number of Compliant items. Compliant means items that meets the required specification for the product being uploaded. If all items are compliant you will have the ability to Send the file to your retailer/channel; to do this click Send next to your feed. If you have Non-Compliant items, you can review and update your items by clicking View next to your feed. This will show a list of all your items and can be filtered to show all non-compliant items. By clicking on your product, you can edit specific fields. All missing data and non-compliant fields will be highlighted. 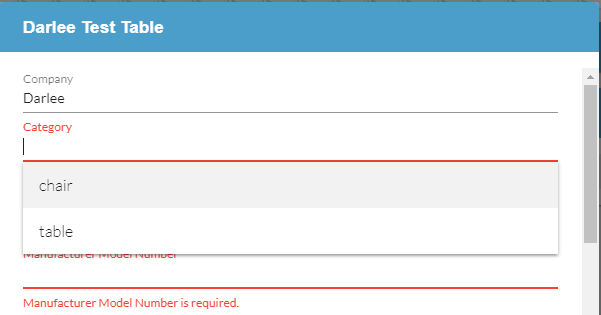 Fields with multiple options, will include a dropdown for all available options. Once all items are updated to be compliant, you can send the feed to your retailer/channel. All feeds uploaded and exported (sent) will generate an event. Feeds uploaded you will see Product Feed Imported. For import errors you will see Product Import Error; this will usually indicate the file did not parse correctly and cannot be viewed under Feeds. Click View next to the event to review the details; usually this is due to not providing the data in the correct format. For all feeds sent to your retailer/channel, you will see an event logged Product Feed Exported.